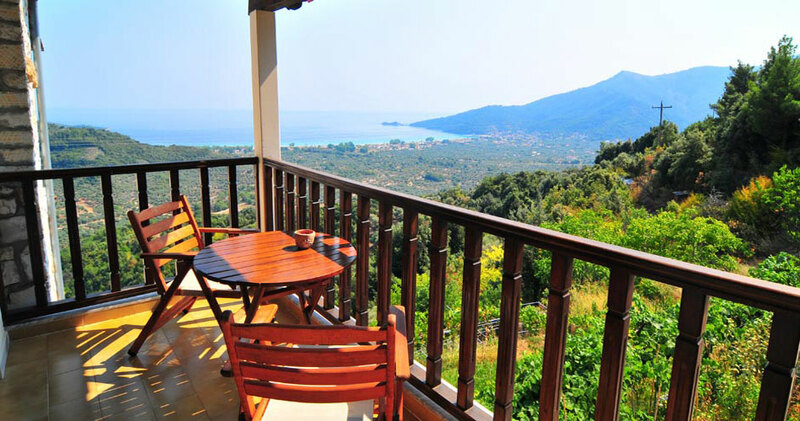 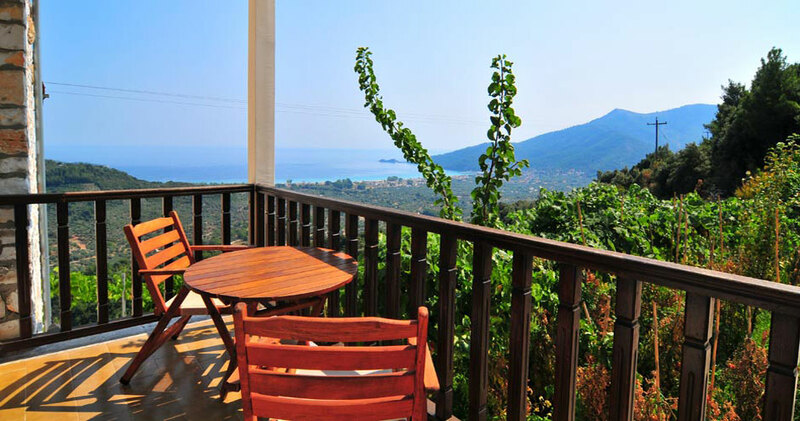 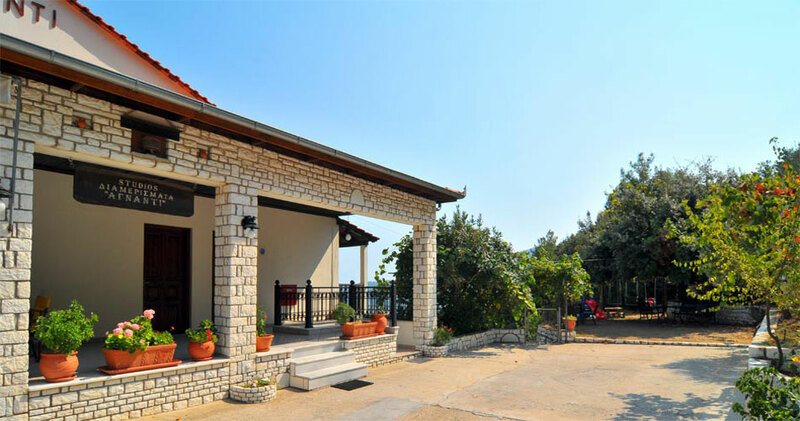 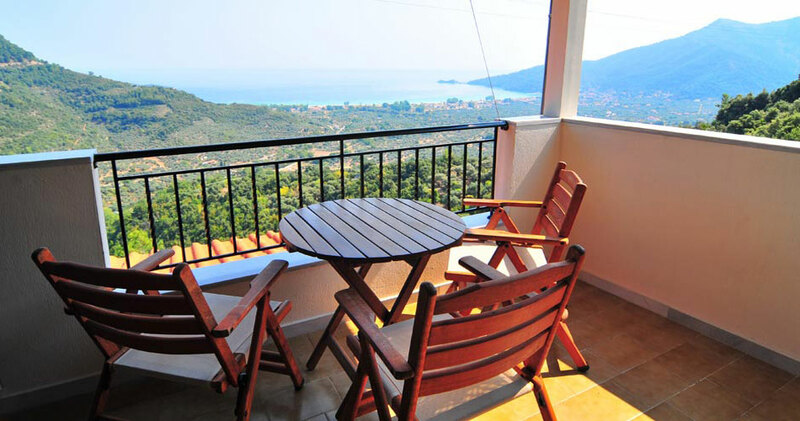 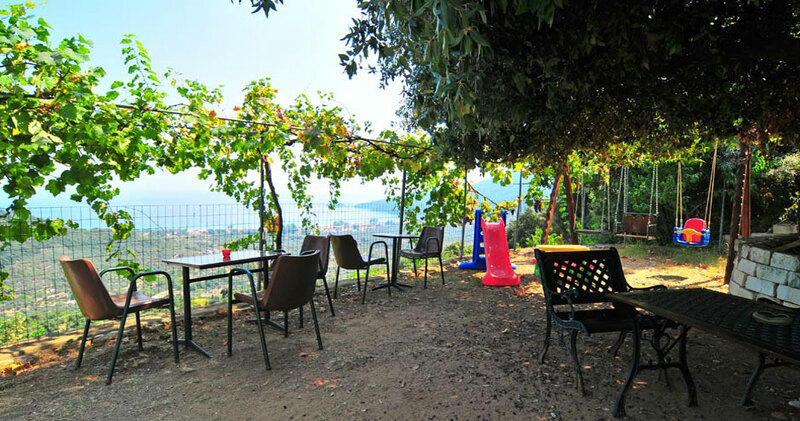 Agnanti Studios is situated in a breath-taking natural environment that is surrounded by incredible views to Golden Beach, the azure waters of the Aegean Sea and the green mountains of Thassos. 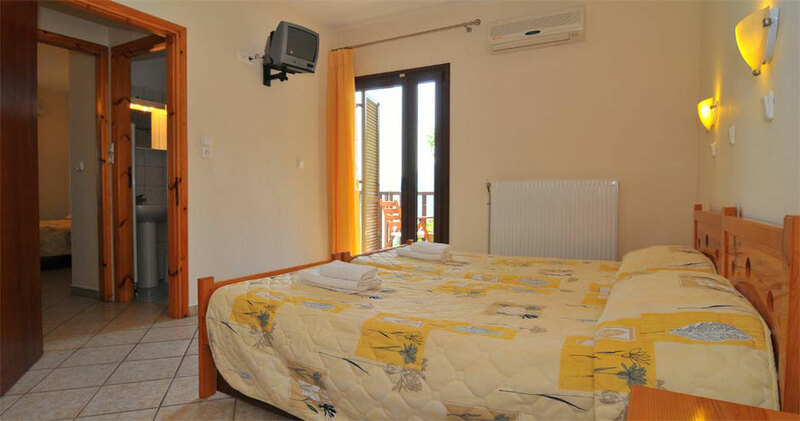 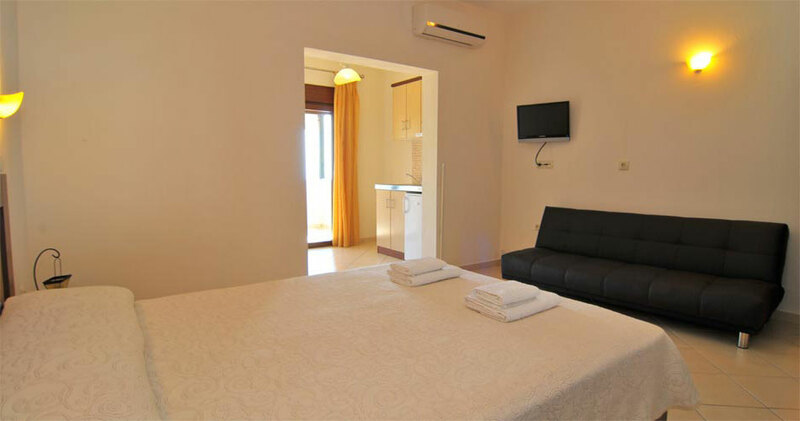 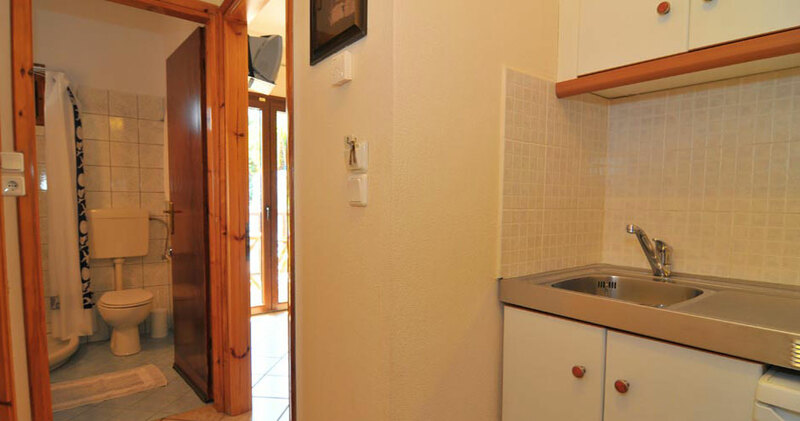 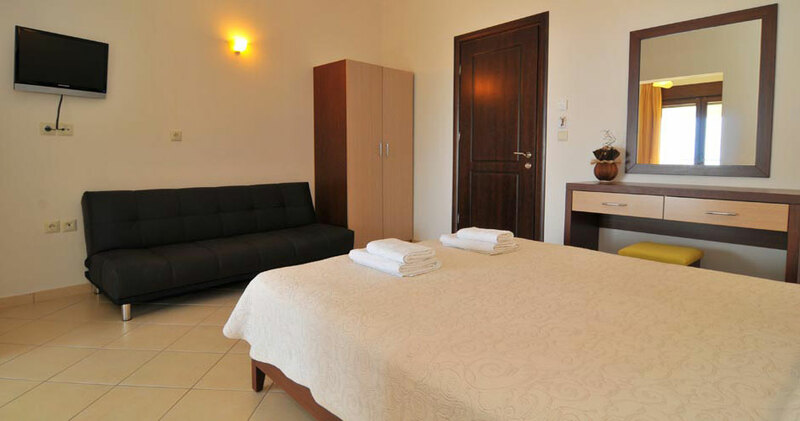 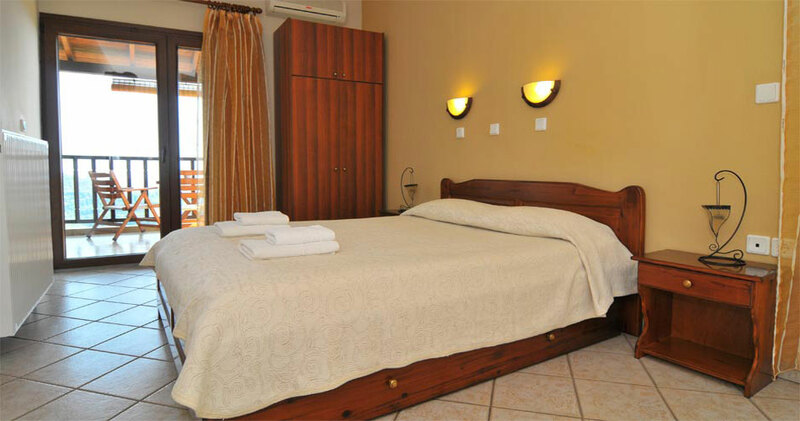 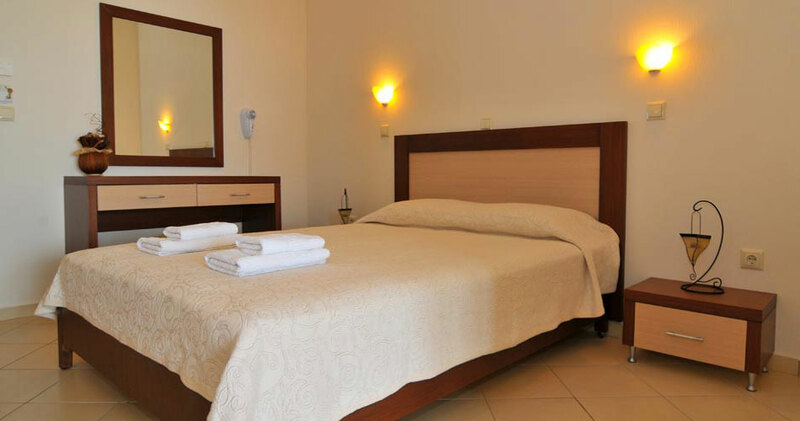 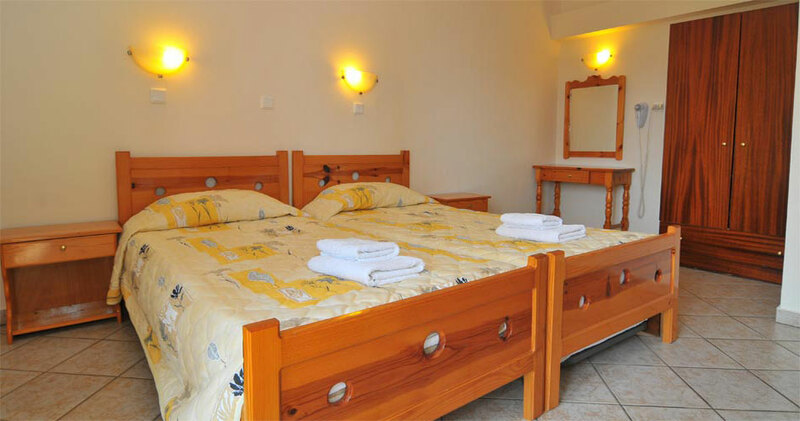 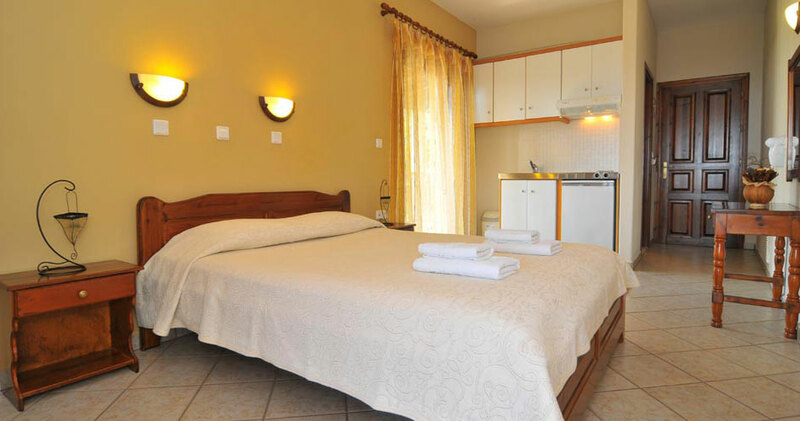 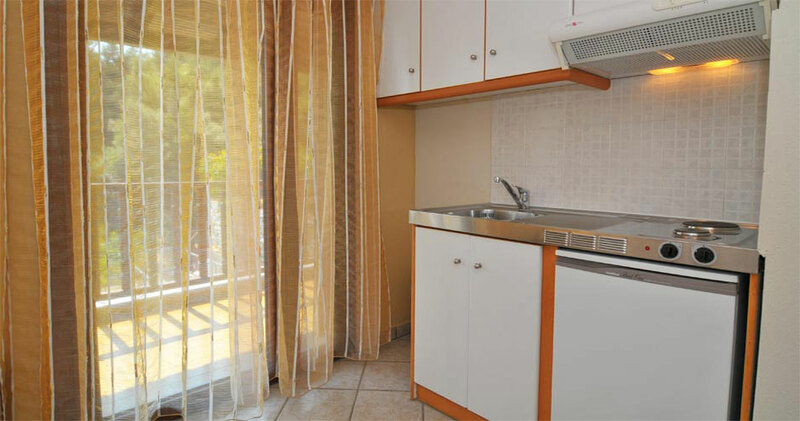 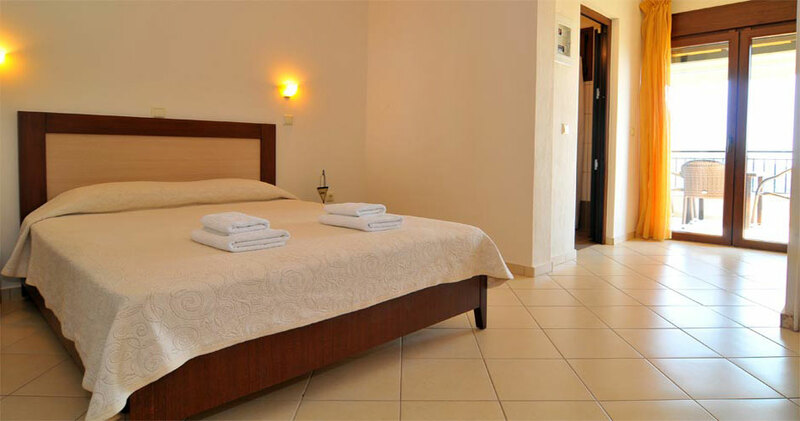 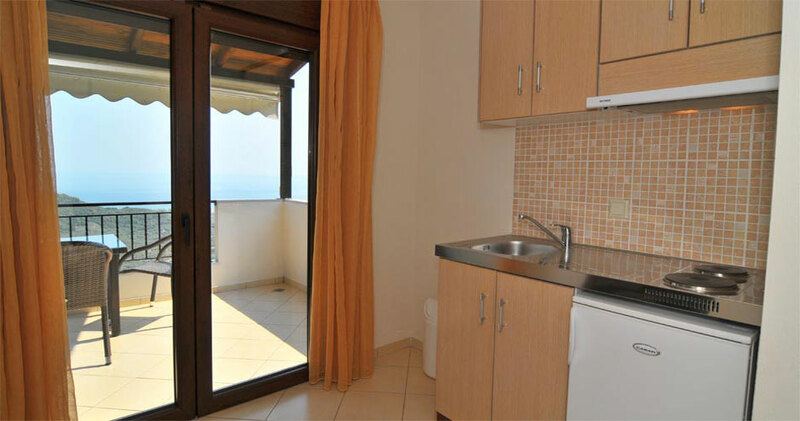 We offer modern studios and apartments in a quiet location and we are ready to provide you with a truly relaxing and unforgettable stay on our beautiful island. 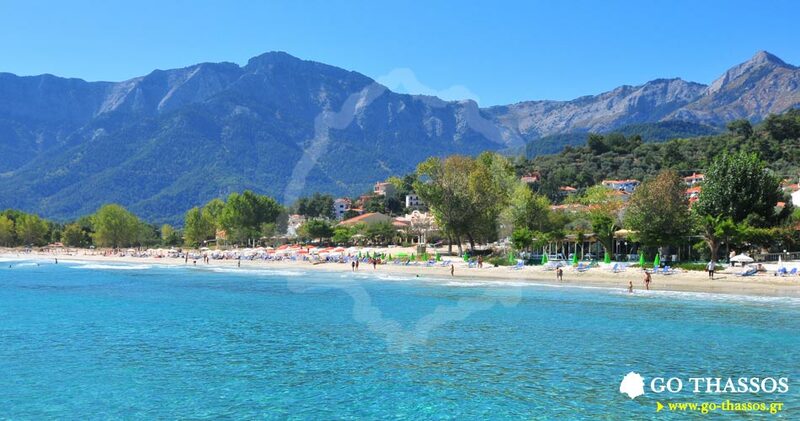 Just a short drive away is Golden Beach, one of the most beautiful sandy beaches of Thassos. 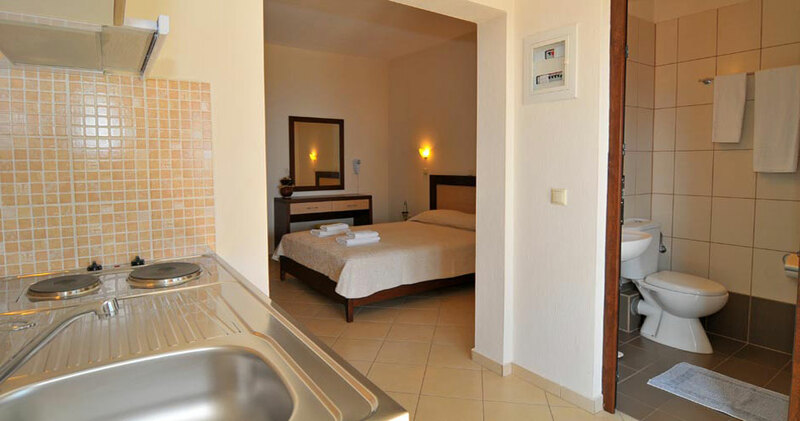 There you will enjoy swimming and sunbathing, water sports, beach bars and beach-side restaurants, shops and much more. 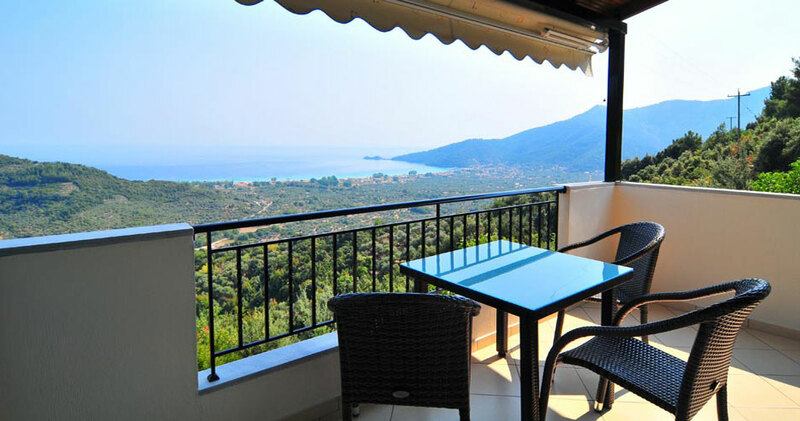 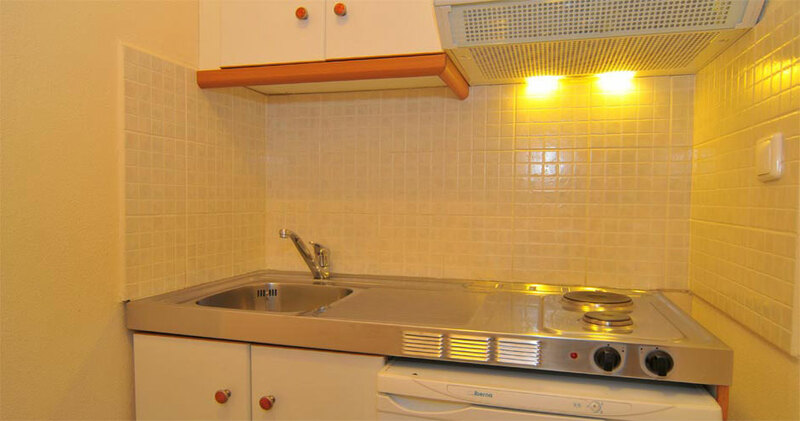 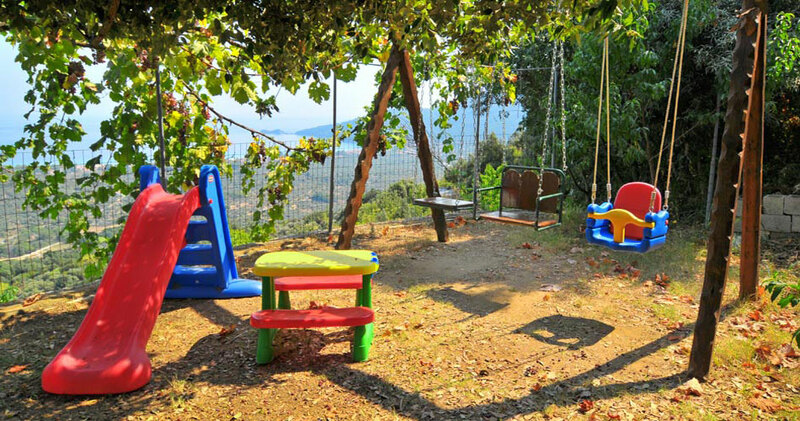 We are located next to the ring road of Thassos which provides extra convenience and makes it easy to get anywhere you wish on the island. 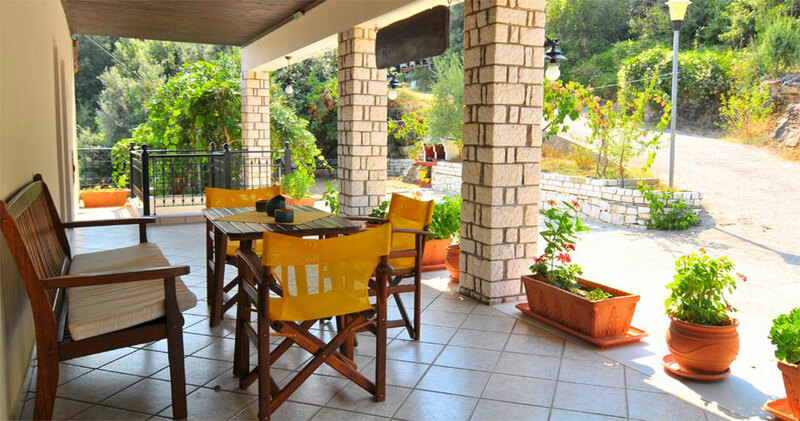 We are just a couple minutes from the village of Panagia, where you will find soothing mountain springs, picturesque houses on windy streets, traditional tavernas with delicious food, cafes, super market, shops, and a whole lot more. 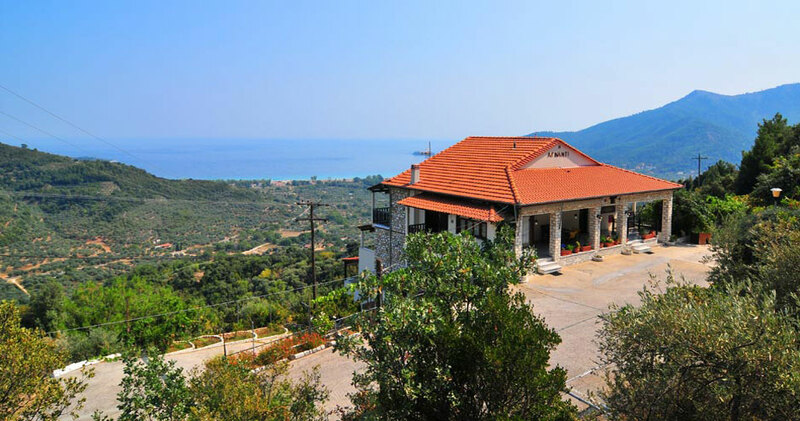 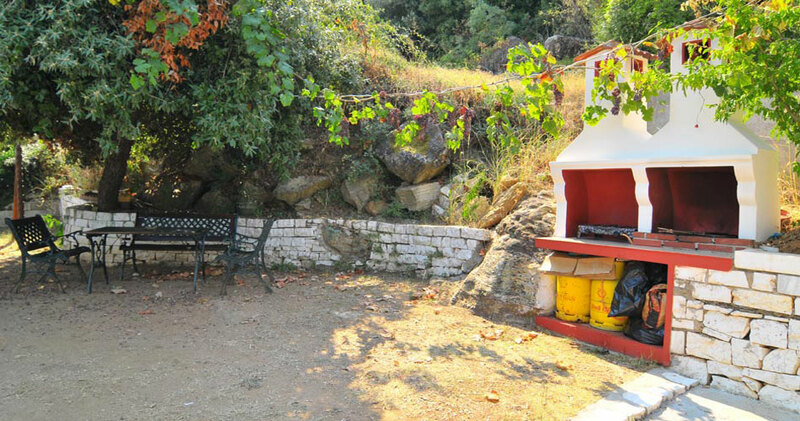 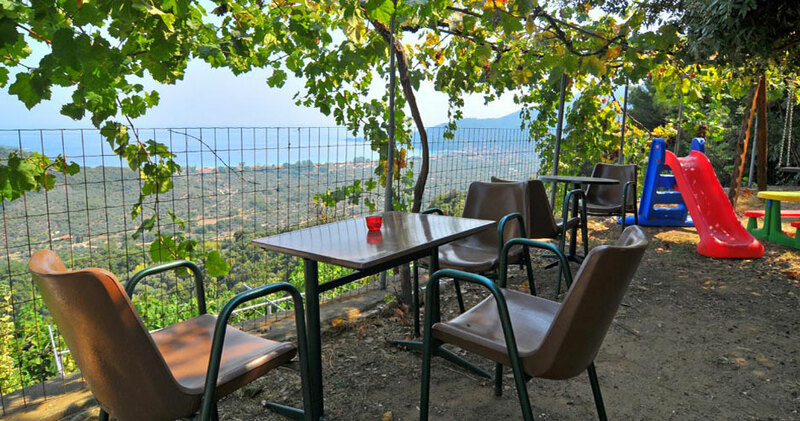 Panagia is also a good starting point for walkers and hikers who love nature. 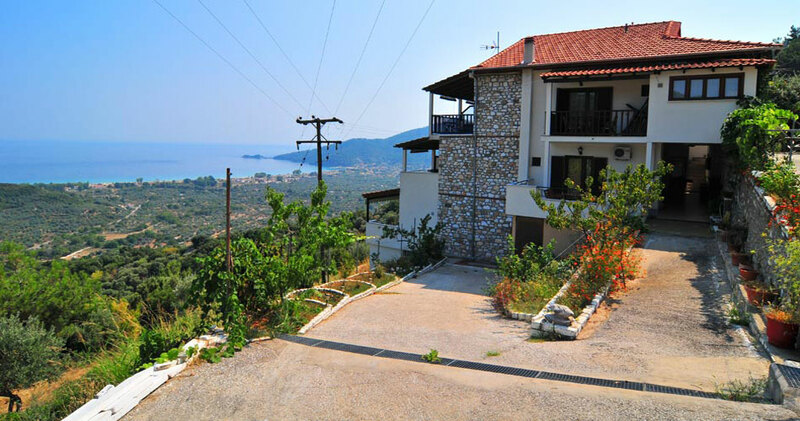 There are safe mountain trails that start from Panagia and will take you all the way to the top of Mt. 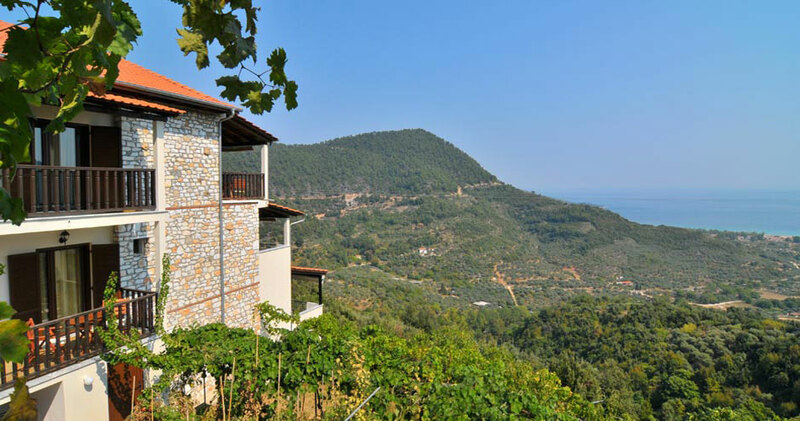 Ipsarion, the tallest mountain on Thassos. 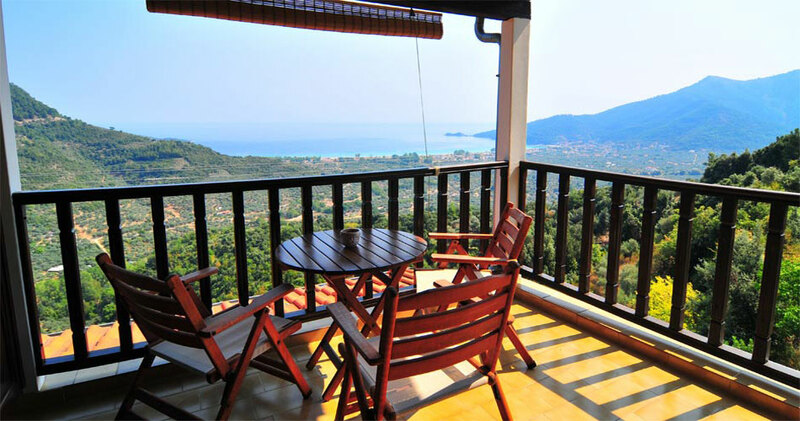 From there you can stare into the heavens and enjoy one of the most magnificent views you will ever witness. 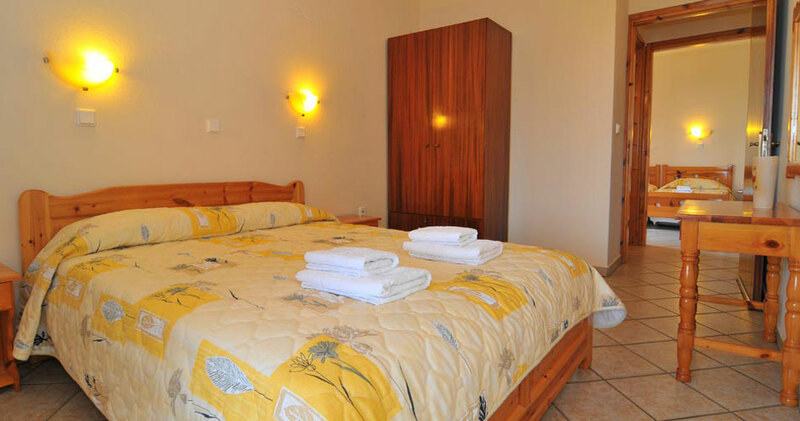 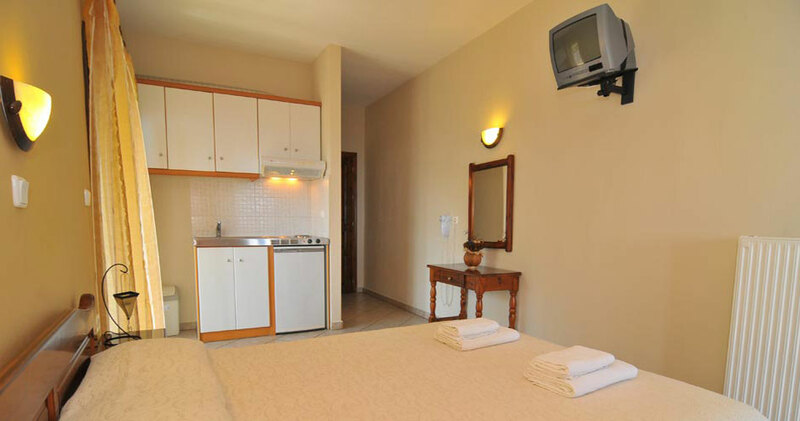 We hope to be your hosts and during your holidays on Thassos so that we can make your stay comfortable!